Ankle sprains are among the most common injuries. You might have sprained your ankle when you are a kid while playing, or even when you are an adult while walking on a pavement. Statistics have estimated that about 25,000 people sprain their ankles on a daily basis. You might sprain your ankle as a result of losing balance and the pain disappears immediately and you continue walking. However, the sprain could be more serious, causing your ankle to swell or making you feel extreme pain when standing. If you sprain your ankle and feel a pop, then chances are that you have a serious sprain. Regardless of the kind of sprain that you might have suffered, you are likely more concerned about the amount of time it will take before you get back to your normal routine. Read on to find out how long it will take you to recover from the injury. Ligaments are elastic structures that hold the ankle bones together. They make sure that the bones do not make abnormal movements like twisting, rolling of the foot and turning. The elasticity of the ligaments is limited so that when they are stretched to the extreme, a sprain will occur. Recovery of such an injury will depend on how serious the sprain is. Below is a table that can help you estimate the recovery time for an ankle sprain. Mild pain, localized swelling, tenderness, stability. You can walk but there is limitation when it comes to jogging and jumping. The ligament is only stretched out but not torn. There is little damage on the fibers. You will feel a pop or tearing sound when the injury occurs. Immediately or after 3-4 days after the injury, you might bleed or develop a bruise. There is also tenderness and swelling. There is difficulty in walking and the ligament is torn, making the ankle loose. There is severe pain, tenderness and swelling. Serious instability and trouble walking. The ligament is completely torn and thus you feel your ankle is giving out. What Should You Do to Shorten Ankle Sprain Recovery Time? If you happen to sprain you ankle, it is important to go to a doctor to have it checked out. It is not easy to tell the difference between a sprain and a broken bone, thus an x-ray is important to determine which one it is. It is rare to do a surgery for an ankle sprain. Most minor ankle sprains are treated via functional rehabilitation programs. Ankle sprain recovery time will be shorter if you follow your doctor’s directions to the letter. Generally, there are 6 phases of rehabilitation. When nursing the injury, you should try and rest to avoid strenuous movements of the ankle. You can have an ankle boot or brace to help restrain the movement. Whenever you feel like the ankle is becoming hot, place ice on it for 20-30 minutes. Support the injured tissue by using a compression bandage. 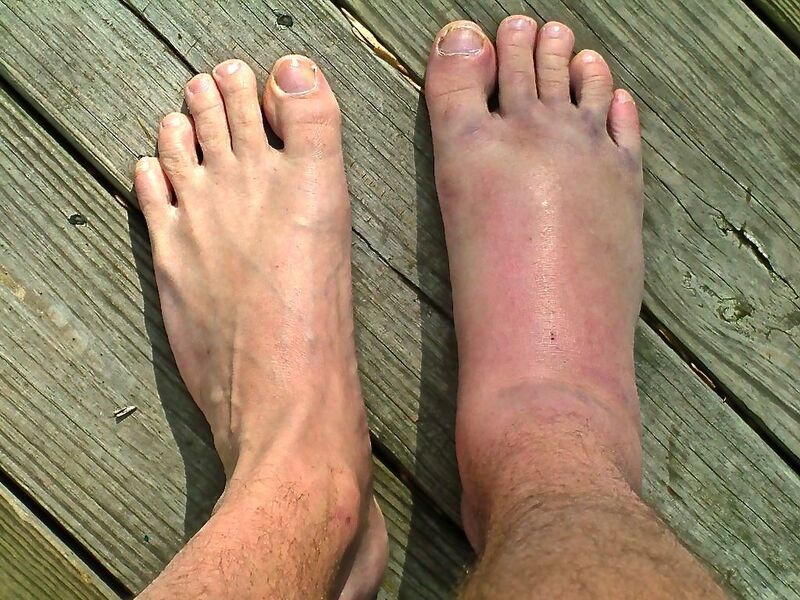 To reduce the swelling, you can have your ankle elevated above your heart, and you can also use anti-inflammatory drugs. Besides, you can take some painkillers to relieve the pain. If you take proper care of the injured ankle, the ligaments will heal. However, you should make sure that the scar tissue is formed well to prevent it from tearing again in future. You should do guided exercises as well as get massages to lengthen the healing scar tissue. This will help you get back your full range of motion. After you get an ankle sprain, your foot, calf and ankle muscles will need strengthening. For normal ankle controlling and functioning, it is necessary to have your normal muscle strength back. The strength will be regained gradually by moving from non-weigh bear exercises to full weight bear routines as recommended by your physiotherapist. Poor foot biomechanics such as high arch and flat foot can cause ankle sprains. In order to avoid this, you should have your physiotherapist assess your foot control and arch. In some cases, a foot insert may be recommended. Your physiotherapist will recommend the best option depending on your condition. Most people sprain their ankles when they are on high speed. When an ankle is injured, both proprioception and balance are affected, and to get back to high speed activities, the two aspects must be retrained and assessed. A physiotherapist will assist you in exercise, which will address the two issues and avoid recurrence of the sprain. Depending on the sport that you play, you might get a specific set of exercises that will help you get back to the field as soon as possible. If you follow the schedule that your physiotherapist has set out for you, you will definitely make a full recovery and get back to your sport.